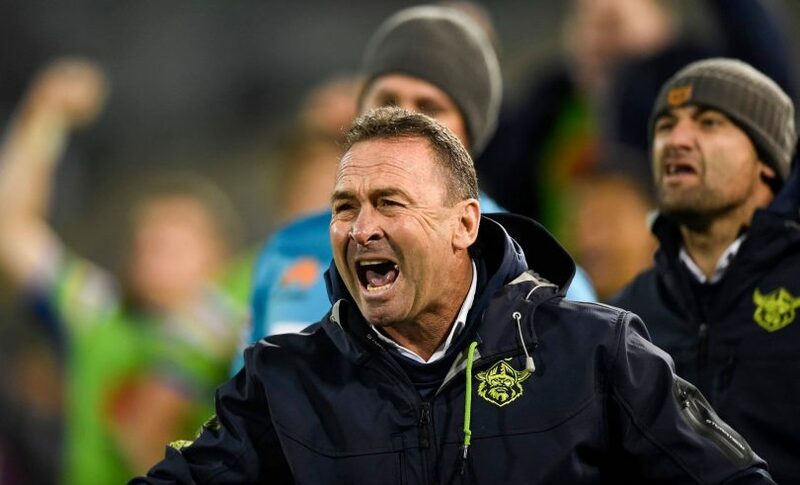 Ricky Stuart will become the face of Queanbeyan. Photo: Supplied by Canberra Raiders. The search for the face of Queanbeyan is over, with the title going to Canberra Raiders coach and proud Queanbeyan man Ricky Stuart. The Queanbeyan-Palerang Regional Council announced on Friday (22 March) that Stuart’s face is set to be immortalised through a large-scale portrait mural in the heart of the CBD, beating over 40 other nominations from the community. In December last year, the council called on the community to nominate people they thought were worthy of being represented in Queanbeyan’s significant public art project. Program Coordinator Tracey Lamont said Stuart beat the other nominations with the help of a submission by a local and his work off the footy field. “Some of Queanbeyan’s historical figures that were nominated have great stories, but given the age and lack of detail in the images available, they would be difficult for the artist to paint,” Ms Lamont said. In his submission, Dimitri Hantas said that his personal admiration for Ricky Stuart has roots in his own family history. “Ricky was born in Queanbeyan in January 1967, the same year that my father decided to migrate from Greece and make Queanbeyan home for our family,” he said. The mural, which is funded by the Federal Government’s Building Better Region’s Fund, will be designed by artist and designer Claire Foxton and will commence on 5 April. “I’m pleased to be working on the mural for Queanbeyan, helping to brighten and transform the Queanbeyan CBD,” Ms Foxton said.